The Saint Bernard is a brave and sturdy working dog. Well known for its rescue work in the Alps, he’s just as suitable to being your family’s big bundle of affection. These guys are great with kids and enjoy being included in family activities. The accurate history of the Saint Bernard is subject to many theories and much debate. 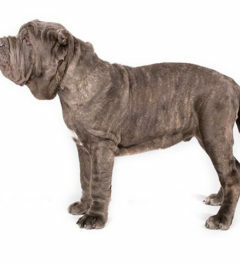 It probably descends from the heavy Asian Molosser (or mastiff-type) dogs brought to Switzerland by Roman armies during the first two centuries A.D., which were crossed with native dogs of the day. Over the next few centuries, Saint Bernards were used for guarding, herding and drafting/cart-pulling tasks. At that time, they were known as the Talhund (Valley Dog) or the Bauernhund (Farm Dog). As a breed, they were well-developed by 1050, when the famous monastery and hospice in the Swiss Alps was founded by Archdeacon Bernard de Menthon as a refuge for travelers making the treacherous trek between Switzerland and Italy through the oldest pass through the western Alps. The hospice was destroyed by fire in the late 1500s, and much of its documented history was lost. However, it is widely believed that the Saint Bernard’s predecessors were first brought to the hospice in the mid-1600s, for use as guard dogs and draft animals. 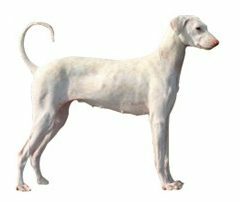 The first written historical records of this breed date to 1707. The lonely monks are said to have recruited large dogs from the valley to act as watchdogs and companions during the bitter winters at the hospice. These dogs became known for their rescue work in the Great Saint Bernard Pass, with their finely tuned sense of smell and ability to move through immense snow drifts making them invaluable in locating stranded travelers. Saint Bernards were used for over three centuries for rescue and guarding work at the hospice. Breed authorities claim that teams of these brave dogs saved well over 2,500 human lives. It is said that once it found a stranded victim, the dog would lie down beside him or her to provide warmth and would lick the person’s face to restore consciousness if at all possible. A companion dog would return to the hospice to bring the monks back to the site of the rescue. Saint Bernards also are said to have an uncanny natural ability to predict and avoid avalanches. Until the early 1800s, the breed was simply referred to as the Hospice Dog. A dog named Barry lived at the hospice from 1800 to 1812 and became one of the most celebrated dogs in history. For more than fifty years after his death, the Hospice Dogs were called the Barryhund in his honor. Barry reportedly saved at least forty lives. Legend has it that his forty-first rescue victim caused his death, mistaking him for a wolf. However, Barry actually was euthenized in Bern, Switzerland in 1814, after a long and productive life. His mounted remains are still on display at the Natural History Museum in Bern. Throughout the first half of the 19th century, severe weather, close inbreeding and disease contributed to a decline in the numbers of the Hospice Dog. The monks eventually crossed their dogs with Newfoundlands, which at the time were larger than Saint Bernards but shared their rescue instincts. The introduction of Newfoundland blood is responsible for creating the long-haired variety of Saint Bernards. Unfortunately, ice and snow clung to the longer-haired dogs more so than the short-haired ones. Other contributors to the breed are thought to be Great Danes and/or Bloodhounds. Saint Bernards – then called Sacred Dogs – were brought to England in the early 1800s to boost the Mastiff bloodlines in that country. In Germany, they were called Alpendog for a time. It was not until 1865 that the name Saint Bernard became well-accepted. The name was officially recognized in 1880. 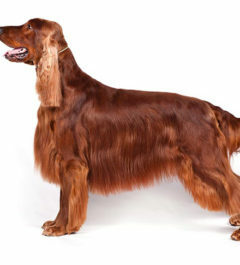 Breeding of both long and short-haired varieties continued in Switzerland throughout the rest of the 1800s. The breed became popular in Germany and elsewhere in Europe, and eventually reached the United States. The Saint Bernard Club of America was founded in 1888 and adopted the international breed standard that had been developed the prior year. It is one of the oldest specialty parent clubs in America. Today’s Saint Bernards excel as family companions and in the show and obedience rings. They are competent cart-pulling and weight-pulling contestants as well. St. Bernards are very friendly and excellent with children. They will defend property and people with intense loyalty. Proper training is essential for Saint Bernards because of how large they grow: it’s easy to handle toy dogs that are unruly as opposed to a St. Bernard that outweighs you. You want to make sure that your Saint Bernard is properly socialized and understands the typical boundaries it has. Some Saint Bernards will not know its own size, so be sure to give them plenty of room in areas they frequent the most. Its coat comes in two types: smooth in which the short hair is very dense and tough; and long, in which the medium length hair is straight to slightly wavy. The Saint Bernard requires regular grooming with a brush and comb. The ears should be kept clean and the eyes checked regularly. As you would expect from a large dog of the Saint Bernard’s stature, joint problems, especially as the dog grows and ages, can present issues such as hip dysplasia. 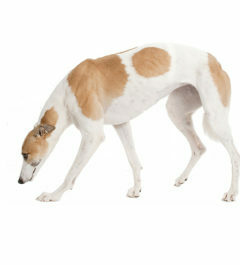 These dogs can also be prone to epilepsy, seizures, and heart problems. This breed must be taught early not to pull on the leash. They require a good deal of patience and understanding during training. A St. Bernard needs an average amount of exercise, so three short walks a day will be fine. Throw in an occasional long walk and the chance to run free. 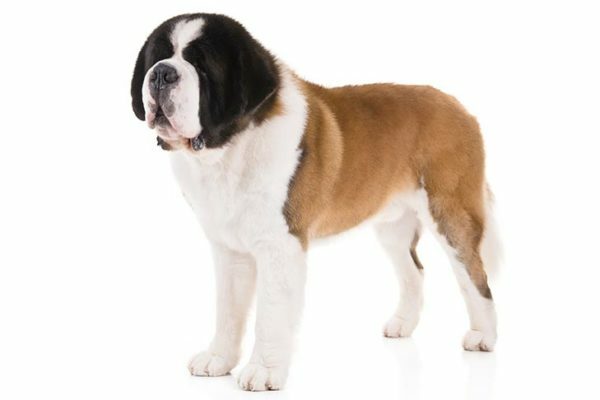 Given that Saint Bernards are so large, they require a similarly large diet in order to maintain a healthy body weight. It’s important to remember that this doesn’t mean they should be overfed, however. Plenty of meat and poultry will provide a good caloric intake while vegetables should be mixed in for nutrition.